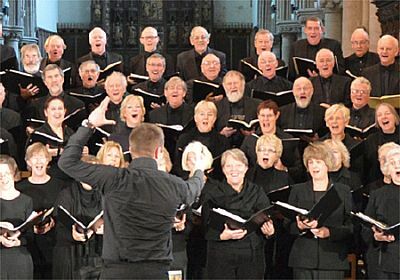 Kings Lynn Festival Chorus is a dynamic and friendly choir based in King’s Lynn that draws members from Norfolk and adjoining counties. Rehearsals are weekly and there are 3 or 4 concerts a year, both locally and further afield. The Chorus performs a range of music from the great choral masterpieces of the last 400 years to jazz and pop classics. Anyone who can sing (nearly everyone can), has a willingness to learn and who can commit to weekly rehearsals is welcome to audition for the Chorus. As well as being resident choir for the annual King’s Lynn Festival, the Chorus performs several concerts throughout the year, working with well-­known professional soloists and orchestras such as Dame Emma Kirkby, Elizabeth Watts, Peter Daveron, the English Chamber Orchestra and the European Union Chamber Orchestra. It has performed many of the great choral works such as Mozart Requiem, Monteverdi Vespers of 1610, Haydn The Creation, Vivaldi Gloria, Bach St. John Passion, Handel Messiah, Carl Orf Carmina Burana, Rachmaninoff Vespers and the 40 part Tallis Spem in Alium. Many concerts have featured Broadway classics, American spirituals and arrangements of pop music. The Chorus has recorded two CDs, the latest of which being the Christmas compilation 'Hark!' where we were joined by brass ensemble Mardi Brass. 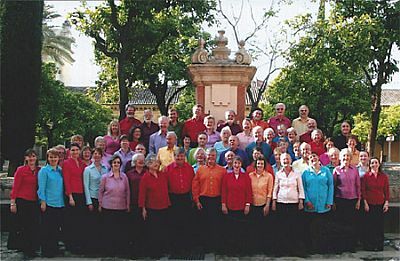 Members of the Chorus have sung on two occasions with Blake during their national tours; at the inauguration of the Bishop of Rochester and at weddings and other events in the area. The first CD 'Slava' was recorded under the direction of Michael Kibblewhite. Local concerts are often given in St Nicholas Chapel, whose size (the largest 'chapel of ease' in England) and outstanding acoustics lend themselves to large-­scale performances. The Chorus is a very sociable group and has undertaken a number of tours in Europe. These have helped develop community spirit and given the opportunity to perform in some magnificent venues. The tours included Spain, Italy, Belgium, France and Ireland and concerts have been given in St. Marks, Venice; the Mezquita in Cordoba; the Basilica of St Francis in Assisi, Rouen Cathedral and both of Dublin's Cathedrals. The Chorus was originally formed in 1977 for a concert conducted by Christopher Hogwood as part of the King’s Lynn Festival. For a period it continued as an occasional choir singing only at the Festival but over time it became independent and for a number of years was known simply as King’s Lynn Chorus. 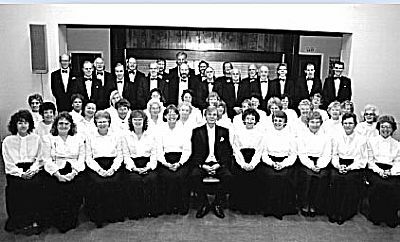 In 2001, following the appointment of Michael Kibblewhite as Music Director, festival links were rekindled and the name reverted to King’s Lynn Festival Chorus. Christmas 2009 saw the choir perform their last concert with Michael at the helm and in January 2010 Tom Appleton took over as Music Director. In 2016, Tom was joined by Chris Brown who took over from John as Accompanist. He left in 2017 for pastures new and from September 2017 the choir has a new Accompanist, Ben Horden. Tom’s enthusiasm, energy and inspiration ensure that the choir continually reaches new levels and that Kings Lynn Festival Chorus remains one of the region's finest choirs.